08 JanAre you looking for classes in Queens that will help your 3-5 year old child develop and grow? There are many activities in Queens that you may choose from for your 3-5 year old children. Most of these classes are fun and entertaining for your child, but not all are designed to actually help your child grow. We’ve put together a list of select classes that are available to you in Queens that are not only fun and entertaining, but will teach your child new skills and help them grow as individuals. Shastye has two classes for children which caught our attention. Both of these courses teach children to speak spanish while also teaching them to cook, or to create arts and crafts. Their Spanish language cooking series taught by Allergic to Salad is designed for children 18 months to 5 years of age, and your kid will graduate knowing how to make you guacamole! Wouldn’t that be nice for a change? Spanish Story Time ‘n Craft, for children 3-7, will challenge them to listen to stories, solve puzzles, and do related crafts which will help them develop a wide array of language and problem solving skills. 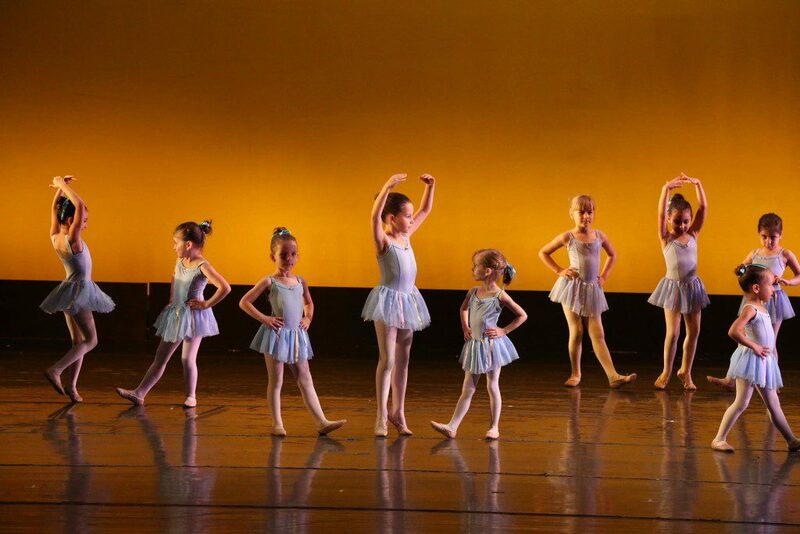 LICSB is focused on the long term development of your child’s dance ability. They offer several levels of courses that prepare your child for each next class level. Their PreDance program for children 3-4 years prepares them for their preBallet program, ages 5-6, which in turn prepares them for traditional ballet, or any of the other styles of dance they teach. Both classes improve your child’s understanding of movement, balance, and coordination to prepare them for a future of dancing and fun! LIC Kids Tumblin’ Toddlers, for children 2-3 years, has an interesting take on classes that parents take with their children. Parents are encourage to take this tumbling class with their child to encourage attention, but children are taught to perform their movements independently without their parent’s involvement. This increases their self-confidence, independence, and gross motor skills. Students who take this class can advance into Gym Stars, a gymnastics program for kids 3 to 18 years. Sage Music offers children 3-5 the opportunity to learn and improve the skills they need to be successful in music and in life. The class is offered to children not yet old enough to take private lessons, but with an interest in music. In Musical Beginnings, your child will learn to sing, perform rhythms accurately, match pitch, and develop other life skills like focus, attention, concentration, and learning how to work well with others. These skills are just as important to music as they are to the many other areas of your child’s life. Parents are encouraged to take this class with their children so that they can support their child’s learning in class, and at home. The focus of classes for children 3-5 at Raising Astoria are less extra curricular and more about preparing your child for kindergarten and elementary school. They offer two montessori style classes as preschool alternatives teaching numbers, letters, science and art in a fun and interactive way, with each class day focusing on a different subject. Rising City Arts offers your child the opportunity to learn basic acting skills while playing games, acting out stories, and using their imaginations wildly! It’s a great fit for students this age who learn experientially. The 10 week course, Fairytale Adventures, concludes with a performance of a story that each class chooses to share. If you are looking for an affordable general experience for your children in a long-standing institution, consider the YMCA. While they offer many programs and classes, they only offer two classes for children 3-5. These are in swimming and dance. Their website and brochures do not offer much information about the conduct of the classes or the instructors, so be sure to ask about the way each class is structured. Joffrey Dance has a variety of different dance classes suited to different dance styles including Ballet, Jazz, Tap, Hip Hop, and Broadway. Their classes include Baby Ballerinas, ages 3 and up; Demi Dancers (Ballet), ages 4 and up; and Chorus Line (PreBallet, Tap, and Jazz), ages 5 and up. This school is focused exclusively on dance, and is associated with Robert Joffrey. Out of all these options can anyone recommend what are the most interesting classes for a 3 year old toddler boy? Hi Irene, I can't say without knowing his personality more. If his is very imaginitive, then the art, or music might be best. If he likes to interact with other kids, maybe that would be the acting classes. Or if he likes physical challenges, perhaps the gymnastics or the swimming. Does that help a little? Just wanted to clarify that the cooking classes taught at Shastye are *taught by* Allergic to Salad. Our cooking school specializes in cooking classes preK thru middle school. We are currently offering the Thursday Spanish Cooking and a Sunday Mandarin Cooking class. Thanks for the interest in our classes at our partner site! Thanks for letting us know, we made the edit to make it clear in the article.